As smartphone technology has evolved, so has the world of apps. The App Store, Google Play, and others offer great tools to assist parents, employees, business owners, and even property managers with their specific day-to-day activities. For property owners and property managers of commercial real estate, apps can offer a huge time and money-saving opportunity. Just because your commercial property was a large financial investment, it doesn’t mean that it needs to be a large investment of your time. That’s why there’s an app for that! UpKeep is geared towards larger property management companies or crews with several employees at different locations. You are able to keep an eye on your entire team of workers, by adding them, assigning work orders, and following up on said work orders as the project progresses. DIY LandLord is meant for property owners who are collecting rent and managing several tenants and properties. It is the only landlord-based app that will actually allow partial rent payments, which can be helpful for delinquent tenants. 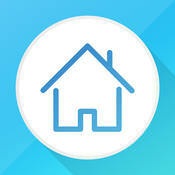 This app also allows you to take photos of properties and tenants, keeping everyone honest and organized. Billing itself as the #1 Property Management App on iTunes and Google Play, RentTracker has been around longer than any of the other apps. Created in 1999, the app was originally available to Mac and Unix users but is now available on any platform through its cloud/web-based platform. This app is most helpful for keeping track of properties, as well as the tenants within each property, giving each entity its own customizable entry. Happy Inspector is the mobile app portion of the larger HappyCo suite of products. The app is geared towards businesses of all sizes providing standardized data from customizable templates. The reports ($3.75 – $6.00/each) produced with Happy Inspector can be emailed or downloaded as PDFs, complete with your company’s logo/branding. Tag Line: Beautifully created by landlords, for landlords. Property management made easy. With an intuitive dashboard and all of your important details available at a glance, Landlord Property Buddy is one of the easier apps to use for entering and retrieving information in a hurry. Reports produced include income and expenditures for each property in Microsoft Excel, making them easy to edit and customize to your liking. Tag Line: Property management for the next generation of landlords. Go Connect is geared towards real estate agents and manages their schedule as a combination of a well-organized checklist and scheduler. Go Connect was designed, built, and tested by agents who understand the industry and have created a simple interface to make property management a breeze. Looking for Assistance Beyond the Capabilities of an App? With any of the apps on this list, you will be able to reduce the amount of time you spend on paperwork and increase your ability to grow the business. The only downside of the applications is that they can’t do all the work for you! If you really want to free up your time and optimize your bottom line, you are going to need the help of a professional property management company along the way. That’s where The Robert Weiler Company comes into play. There is no property too big or too small. Whether your property is thousands of square feet or millions of square feet, we have the capacity and know-how to help you manage it all. Contact our property management team today at 614-221-4286.